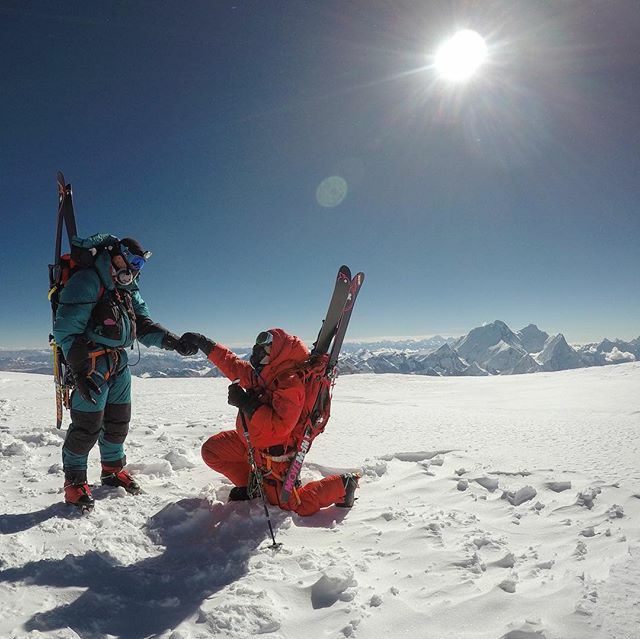 He said yes at 26,906 ft./ 8201m on the summit of Cho Oyu! I knew you were husband material before this trip, but sharing this expedition sealed the deal. @rob.lea you are so patient and kind, especially when you took care of me when I got sick, never complaining about the possibility of abandoning your summit attempt to make sure I was ok. I knew you were a keeper when you emptied my pee bottle and carried down the wag bag we shared. Sharing a month long expedition with your significant other is one of the most intimate experiences. There are highs and lows, and you get to see a person’s true colors. Rob, I’m so happy for our journey ahead!